This is one of my family's favorite dessert to make on Sundays. Both my husband and I grew up making it and now our kids love making it too. I posted the recipe here on my blog four years ago, but thought that it deserved an update. Although there is a cute picture of my little, then six-year-old, daughter holding her bowl of brownie pudding. Where does time fly? This dessert is truly magical and super yummy tasting. First you make a brownie batter, then pour "chocolate water" on top. 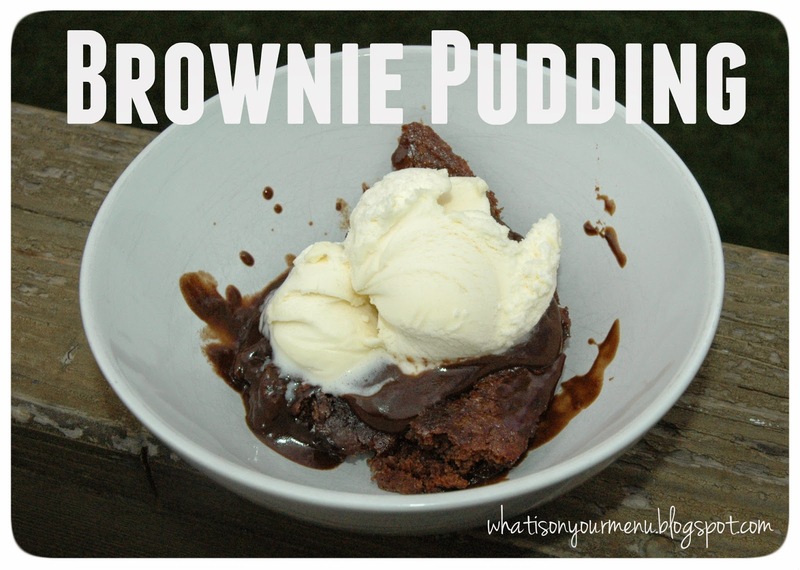 While baking, the magic happens and underneath the brownies a chocolate sauce is hiding. Super yummy topped with vanilla ice cream, whipped cream, or eaten plain. Don't count on any leftovers. Mix together flour, granulated sugar, 2 Tbsp. cocoa powder, salt and baking powder. In another bowl, mix together milk, oil and vanilla. Add milk mixture to dry ingredients. Stir until combined. 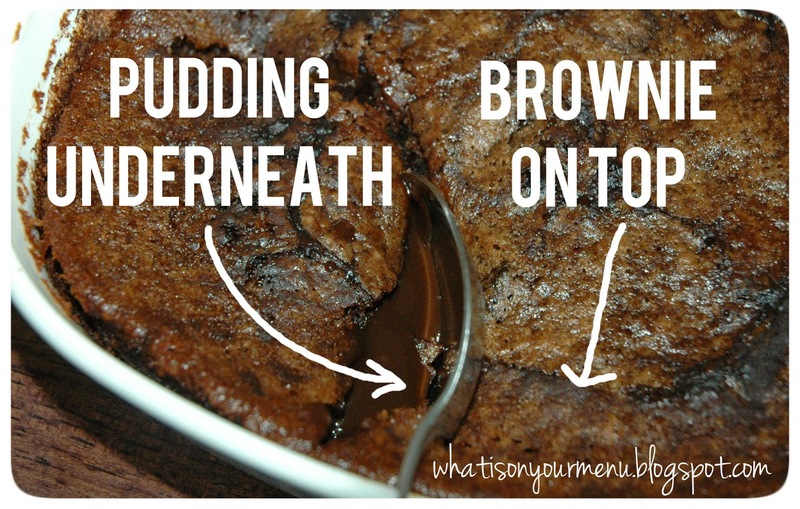 Pour into a greased 8x8 or 9x9 pan. In another bowl, whisk together brown sugar, 1/4 c. cocoa powder and hot water. Pour water mixture over batter. Delicious as is, or even better topped with whipped cream or vanilla ice cream.